"A spellbinding novel." The Columbia Review. For anyone who still remembers the torturous experience of going through your teenage years, or worse, of raising a teenager, “Secrets of the Porch” will provide both laughter and tears. The anger and remorse, the know-it-all certainty and paralyzing self-doubts, the arrogant prancing about and the I-am-a-freak self-flagellation, are all too familiar. But this book adds several additional layers of depth through an original setting and creative circumstances that together make for a spellbinding novel. Starting off with an almost common situation where the hero, Sophie Mae Randolph, finds herself torn from her delinquent boyfriend and stuck with her estranged grandmother on the farm, the story quickly gains momentum. Thick with the texture of real life, events unfold to create conflict and engagement between the two women, contrasting youthful indiscretion with the wisdom that comes with age—and with regrets. They discover each other and, through this process, experience self-discovery, as well. The novel is driven by passion and romance, but it’s far better than the boilerplate variety. Sophie Mae exemplifies some of the common inner struggle that many young woman experience between liking bad boys yet seeking a good man. There is suspense, lust, and underlying sense of foreboding that the author applies at just the right level. 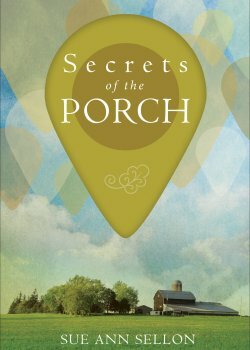 As with all good novels, “Secrets of the Porch” successfully dramatizes human transformation and emotional maturing, as well as the power of love and the corrosive impact of secrets. The author, Sue Ann Sellon, delivers a well written and inspiring story that’s not only heartfelt, but also sophisticated and thought provoking. Perhaps it is the voice of the author, through the character of the grandmother, Lila Mae, who says: “I’ve waited so long to share this story with someone.” Indeed, “Secret of the Porch” was worth the wait. You will enjoy it.